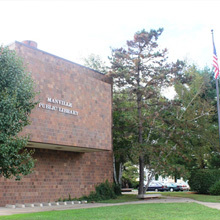 Somerset County Library System of New Jersey (SCLSNJ) is composed of 10 full-service branches and two reading stations serving more than 188,000 people in 15 of Somerset County's 21 municipalities. In November of 2014, after patrons expressed interest in mobile access to magazines, SCLSNJ began subscribing to Flipster®, EBSCO’s digital online magazine solution. The library now offers patrons free access to current and back issues of 86 magazines, including popular titles such as Time, Consumer Reports, Sports Illustrated, Rolling Stone and Woman’s Day. For more information about Flipster, or to request a free trial, click here. According to Carolann DeMatos, Director of Marketing and Public Relations for SCLSNJ, patrons were so pleased with their ability to access the library’s e-books from mobile devices that they began to request access to digital magazines as well. SCLSNJ evaluated several digital magazine platforms and ultimately chose Flipster, which is the first digital magazine product for the library system. “It is important to SCLSNJ's staff and administration to remain on the cusp of technological advances and to assure that the patronage is receiving the best possible library services,” DeMatos said. Patrons can access Flipster using their library cards on-site at any of the 10 branches or at home through SCLSNJ's website. Flipster apps for Android, iPad and iPad mini are also available so patrons can view magazine content on their mobile devices. The 86 available magazines cover an array of topics including automotive, business, consumer reports, entertainment, family and kids, fitness and health, food and cooking, home and garden, lifestyle, news and politics, science and technology, sports, travel and more. “There are magazines for all ages and interests available on Flipster, so this is a valuable asset for our library users,” said Yvonne Selander, SCLSNJ’s Collection Management Supervisor. Flipster provides a carousel of the most recent issues, as well as a carousel of all issues, allowing for quick access to magazines. The table of contents includes links to articles of interest and there is an option to zoom in and out for better readability. SCLSNJ officially launched Flipster on November 17, 2014. To promote the new service, the libraries hung posters, circulated flyers, and posted to social media. SCLSNJ also issued a press release, created images to display on digital TV screens across the 10-branch system, and placed a web banner on its website. “We also shared the product with staff two weeks prior to launch, so they were not only prepared but excited to talk about and share this new product,” DeMatos said. According to DeMatos, Flipster has been well-received by patrons, staff and community leaders, so much so that SCLSNJ added 16 new magazine titles to its subscription at the start of 2015. New titles include Bloomberg Businessweek, Popular Science, Motor Trend and Outdoor Life. In addition, libraries have seen a consistent increase in usage each month since the launch.